WWE has continued to ignore fan criticism and shove a product down their throat that they don’t want. Pro wrestling fans have fought back and have sent the WWE a big message with The Bash 2009 pay per view. Early estimates that The Bash was the third lowest ordered show in WWE ppv history! This is absolutely extraordinary news on a lot of levels. Long time fans have been complaining about the staleness of the product of awhile now. I can point to the company’s number one storyline as the catalyst behind this disaster. Triple H vs. Randy Orton has been such a poorly booked feud, that the fans refuse to pay another dime to watch it. Dave Meltzer of wrestlingobserver.com reports that The Bash generated an estimated 178,000 buys. This ranks The Bash as the third least ordered show since they began recording buy rate information. Think about all of the horrendous WWE shows over the last decade and realize that they were all more successful than The Bash. For those of you that don’t remember, The Bash featured Triple H and Randy Orton in three matches. Fans can put up with one of their matches, but three was about all anyone could take. The disappointing buy rate has to be placed squarely at their feet. Guys can play politics in meetings all that they want, but the number tells it all. The message is clear and the message is that the fans are tired of Triple H. Nobody from Hulk Hogan to Steve Austin to Bruno Sammartino has been pushed on top longer than Triple H has. Jim Cornette recently said in an interview that for someone that has been pushed as hard as Triple H, he should be the biggest star in the company. It is time to realize that this guy is not a draw and should not be in a top position. A recent story reported that Vince McMahon is upset that the company can’t create stars. Whose fault is that Vince? Has Vince McMahon even watched an episode of WWE RAW? Just last week the company had a great opportunity to elevate Cody Rhodes and Ted DiBiase against Triple H. Instead Triple H made a complete mockery of the situation. Not too mention that Legacy has been thrown around from everyone to Shane McMahon and Seth Green. I don’t completely blame Triple H here. Randy Orton has to bare some responsibility as well. 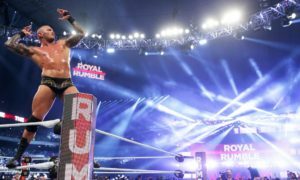 Randy Orton has been the man since he returned from his injury. The company was drawing bigger buy rates last year when he was injured. I have never been a fan and don’t get his appeal whatsoever. Fans just don’t care one way or the other for Randy Orton. For a guy who is going to inherit the company, you would think Triple H would think better for business and step aside. I doubt that is happening anytime soon. 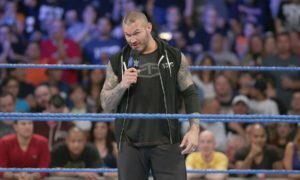 I also think it is time to pull the plug on the Randy Orton push. He just lacks the “it” factor so many in the business talk about to be successful. The bottom line here is that there are some big problems here. Guest Hosts, three-hour WWE RAW shows, or commercial-free television isn’t working. Fans want to see wrestling and entertaining wrestling they can sink their teeth into. Until that happens, I suspect the numbers will continue to drop. Pre-order WWE SummerSlam 2009 on DVD by clicking here.